Photo from 20th Century Fox. 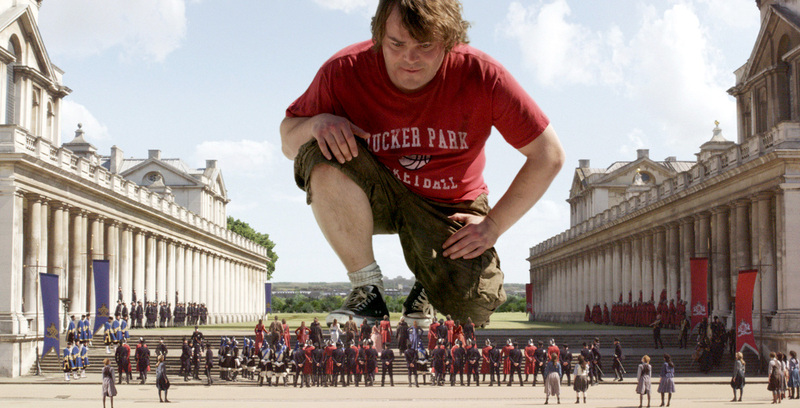 Gulliver’s travels from 2010, with Jack Black in the leading role, here in Lilliput-land. In Jonathan Swift’s famous book from 1726, and from the 2010 movie, Gulliver is shipwrecked at the island Lilliput where very tiny people live. It turns out that these Lilliputians are in war for something that seems absolutely absurd: the correct side of breaking a boiled egg. One population believes that the correct side is the larger end and therefore they are in war with the other population. They believe that all eggs need to be broken at the smaller end. Gulliver is flabbergasted as these eggs are so tiny that he can’t even see the difference. Moreover, for the taste it wouldn’t matter at which side you break the eggs, does it? Swift used this egg-quarrel as a metaphor to criticize the political conflicts between Catholics and Protestants. But how absurd is this story? 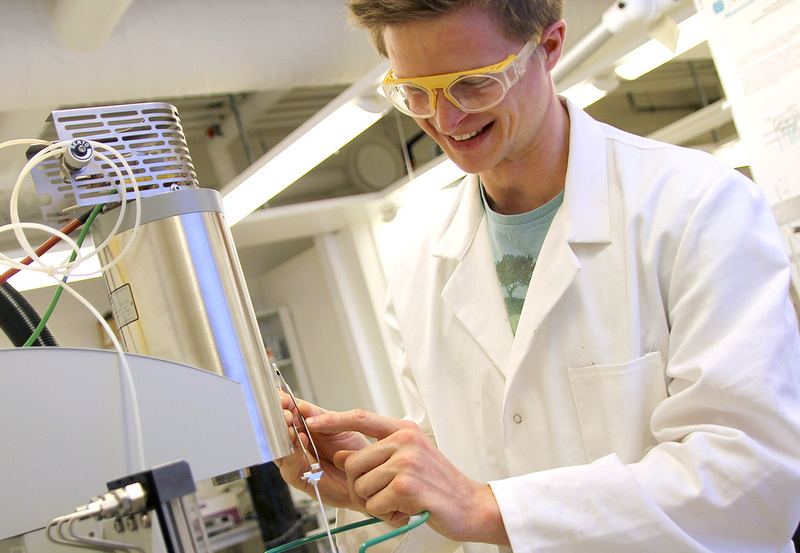 Through our research at the applied theoretical chemistry group at NTNU we have, for the first time, developed an accurate method based on both molecular simulations and theory. 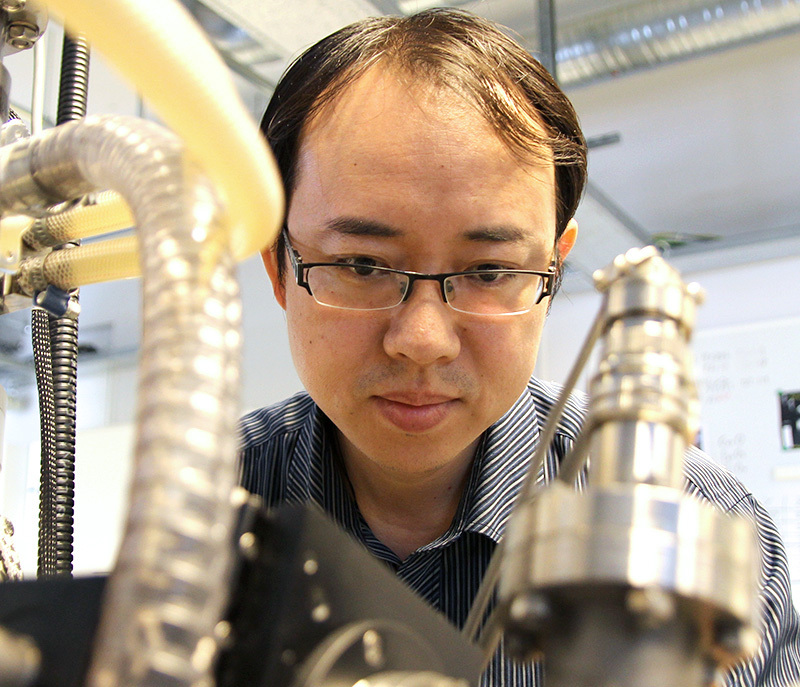 The method can predict heat and mass transfer through curved interfaces at the nanoscale. Whereas curvature is mostly insignificant for these processes for macroscopic objects, at the nanoscale things are completely different. The interfaces of nanobubbles and nanodroplets conduct heat in an uneven way depending on their shape and size. We have calculated how the heat conductance is distributed at the interface of such nano-objects. Our work, which was recently published in the prestigious Physical Review Letters, shows examples like an oblate spheroidal droplet, a prolate spheroidal bubble, and a toroidal bubble; things that respectively look like a nanosized M&M candy, rugby ball, and a doughnut. This knowledge is of fundamental importance since it will for instance help to understand the shape of snowflakes formed from tiny ice seeds, or how gas bubbles grow, which often start out from nanosized cavities. In addition, the theory will also be useful for designing the next generation nanodevices with specific properties. For instance, the method could be useful in the development of heat diodes and heat-transistors. Now, coming back to the story of Gulliver and the Lilliputians. Was the reason for this war really that absurd? Gulliver’s reasoning that is doesn’t matter for the taste is certainly true for our macroscopic eggs, but given the small size of the eggs in Lilliput-land, we might expect a different heat current at the two sides when the egg is being boiled. 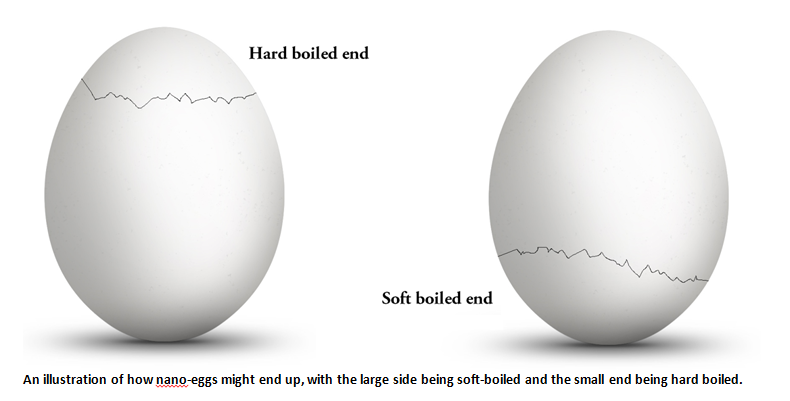 According to our method will the small end side of the egg be hard boiled and the larger end will be soft boiled. Hence, although the average taste of the egg is independent of at which side you open it, it will matter for the first bite. And let’s be frank, the average taste of a dinner will not change if you start with dessert and end with the main meal, the gastronomical experience will be different. Still not enough to start a war, but the whole egg-quarrel is maybe not as absurd as Gulliver thought. Category: Chemistry Tags: Applied theoretical chemistry, Chemistry, nanoscience, ph.d. In my PhD project, I study the microalgae Nannochloropsis oceanica. My goal is to get a better understanding of how the genetic regulation of the lipid production in the microalgae is affected by different environmental conditions. You cannot really see Nannochloropsis or other microalgae with the naked eye (they range in sizes from 2-100 µm). Therefore, I chose to illustrate the algae species I am working with as a cartoon represented by a little friend of mine; Nanno. Have you ever seen a really green ocean? That greenish color you can see in the water is partly because of billions of algae that are growing there. You can see those algal communities on satellite pictures. What you should remember that is special about algae is that they can get energy for reproduction and growth from sunlight, using photosynthesis! While growing, algae capture carbon dioxide (CO2). In fact, algae is fixing more than 40% of the worlds carbon (CO2). 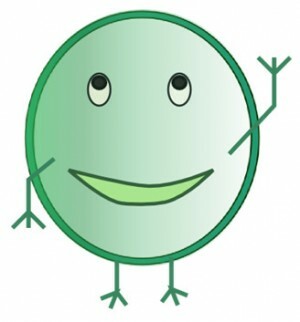 Why are microalgae so interesting to humans? Not only do they produce components that are industrially interesting, but also because algae can be used in a way no other plant/eukaryote can. They can be grown in bioreactors or ponds in the desert or other marginal land and they don’t need freshwater. Therefore algae don’t compete with agriculture and with human food sources such as crops does. What components do humans get from algae and how? 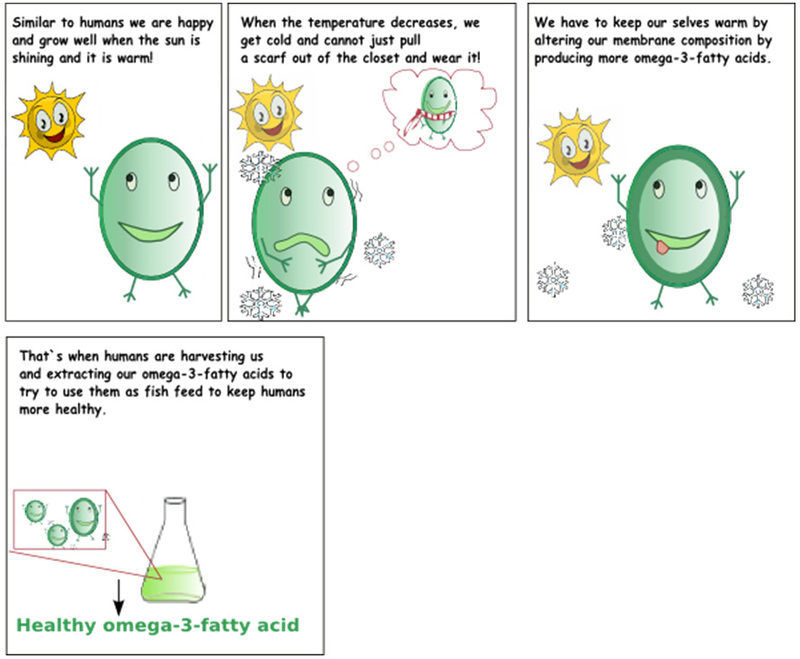 Some algae species can also be a source for the healthy omega-3-fatty acids, like those you can find in fish. 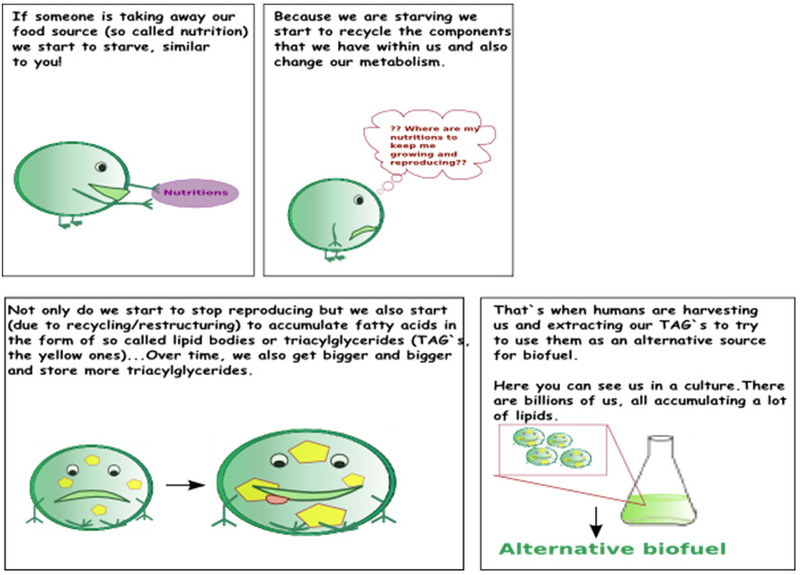 I hope you enjoyed the insight of the, for humans meaningful, life story of Nannochloropsis! How to choose a research area? 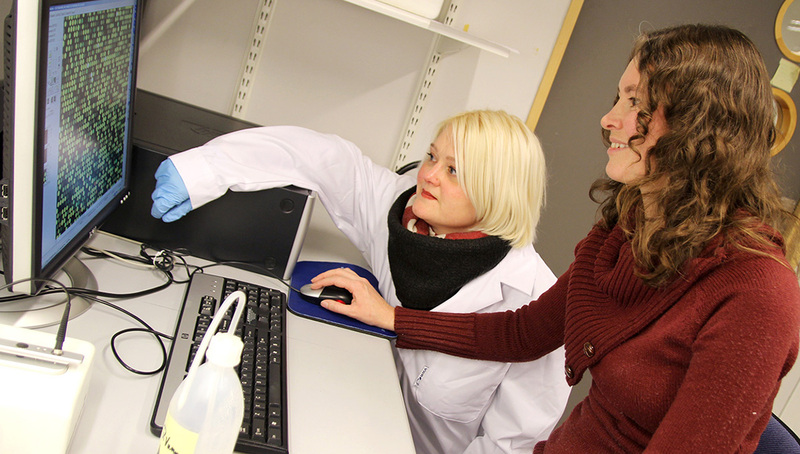 with so many topics to pick from, how do you select which research field to devote yourself to? Once this question has been posed, a number of other ones immediately rise to the surface. Do I choose a research direction which is hot right now or one that has been a long-standing unsolved problem? Should I select a topic which is attracting much interest in my own university/country or one where the leading research groups belong to other countries? Is it better to choose a research area that will more easily generate funding from grants or one which I personally find more interesting even if funding will be more difficult? Not an easy task. I’d say it is quite the balancing act, frankly, because you have at least three aspects to consider. First of all, you probably want to do research on something that you are personally fascinated by. Otherwise, it will be tough to find the motivation over time. Secondly, personal interest alone is not necessarily the only guideline that should be taken into account – it also seems reasonable to consider topics that will lead to a real and useful advance in knowledge. For instance, I would argue that it is potentially of higher importance to identify materials that become superconducting at higher temperatures than is possible today than it is to compute an analytical expression for the 10th order correction to the energy eigenvalues of the Schrödinger equation for an anharmonic oscillator, even if you happen to be absolutely fascinated by doing perturbation theory. Thirdly, you have to consider what will be best in order build your scientific career. Some research topics are simply much more strategic than others when it comes to your chances of getting funding and applying for grants. To illustrate this point, think of research problems categorized by their risk and their potential gain. Let me give two examples. Find an exact solution of the Lagrange equations for a classical particle moving in a potential which has no realization in nature and which does not require any new or interesting mathematical techniques. remains elusive. Certainly a very high risk problem, as a solution is not guaranteed by any means – but the potential gain is equally high, no doubt worthy of a Nobel prize in Physics. associated with it could make it more suitable for the most prestigious grants such as ERC funding, although it still has to be realistic. matching all these criteria, you have an excellent starting point. continue along your career trajectory. very worthwhile. And as with many other things in life, the journey itself will be very rewarding in itself.